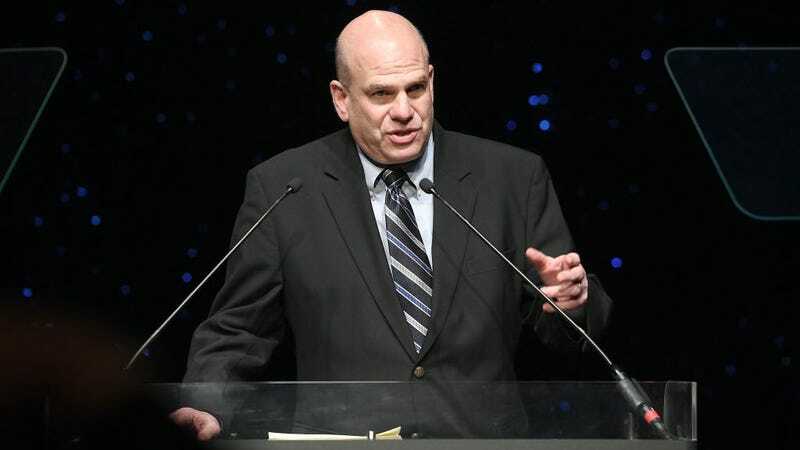 Proving the matter of a David Simon show about fascism was a question of “when,” not “if,” Variety reports The Wire creator is developing a period drama set during the Spanish Civil War. Simon is co-producing the series—currently envisioned as a six-part miniseries, but could expand beyond that—with Spain’s Mediapro, which previously backed The Young Pope. The former investigative journalist will also reunite with frequent collaborators George Pelecanos, his fellow showrunner on HBO’s The Deuce, as well as Wire alum Dennis Lehane. The series, titled A Dry Run, will center on the Abraham Lincoln and George Washington Battalions, “both part of the International Brigade that fought in the Spanish Civil War, from their arrival in 1937 and first bloody battle in the Jarama Valley until their departure in 1939.” Though set in Spain, much of the show will be filmed in English, because the battalions mostly comprised volunteers from the United States. Along with Mediapro’s Jaume Roures, Simon is still in the process of finding funding for the show, so there’s currently no network attached. But Roures has called Simon’s early treatment “one of the great projects for the coming months.” And Simon, who’s tackled many an institution in a meticulous manner through the medium of television, says he was drawn to the “compelling and tragic narrative” that was General Francisco Franco’s emergence, which was a “dry run” for Adolf Hitler’s rise to power.